Providing relevant information on national and international Championships, Opens and main Cups. Game rules and other interesting information for polo enthusiasts. News, events and resources for polo enthusiasts. Offering services, players information and events. Iinformation and assistance to members for improving selection and breeding of polo horses. Providing information and services on Magual Polo Club. A place that combines sport and nature. Where his owners, Marcos and Lucas Di Paola, invite you to practice polo at its highest level; tournaments with professional players; personal polo lessons for beginners of all ages and other services. All polo news, notes, forums and polo players information. 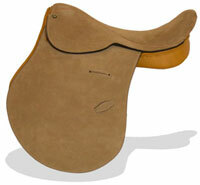 Relevant information on equine polo equipment, gear, tack and saddleries worldwide. Justo del Carril, a 6 goals polo player, provides useful information on polo clinics and many tips to improve your game, also horse sales and more. Sports magazine with profiles of polo's personalities, professional advice on everything from horse care to polo playing techniques and strategy, and coverage of polo tournaments. Providing relevant information and resources for polo players and enthusiasts. The premier club for Polo in Scotland with interesting resources for polo. Magazine about horse care and equestrian information. The Polo Players Support Group, Inc. (PPSG). Providing financial assistance to seriously injured or ill polo players and grooms. Information and resources for polo practice.